Libya is poised to spend $380 million on a new 500MW power station to be built in Tobruk by a Greek construction firm. The deal, signed in Athens yesterday with the METKA, part of the quoted Mytilineos group run by Evangelos Mytilineos, is for three gas turbines and associated equipment including substations. METKA said that the first turbine would be built and commissioned within nine months, with the other two coming on stream over the following two months. Oddly, according the METKA, the deal was signed by the General Authority for Electricity and Renewable Energy of Libya (GAEREL) not by state electricity company GECOL. 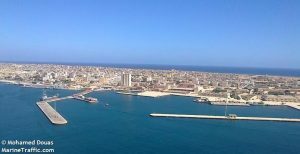 It is unclear if GAEREL is another name for the Renewable Energy Authority of Libya (REAOL) which in 2013 announced highly ambitious solar power plans which at the time were heavily criticised by a former GECOL chief. METKA said the Tobruk contract needed final approval from the interim government in Beida. Last October, prime minister Abdullah Al-Thinni announced an agreement with Greek investors to develop solar power in Libya. METKA has worked on solar projects as well as other power plants, one of them in Turkey. The company’s web site says that it built the velodrome for the 2004 Athens Olympics. No details of the funding of the $380-million gas-fired plant have been given nor what extra pipeline infrastructure will be required. Tobruk’s current power station is a 130MW oil-fired plant near the port.